The final verse to the living poem we all knew as Ellen Kort was completed when she passed this April at the age of 79. Appointed by Governor Tommy Thompson as Wisconsin’s first Poet Laureate from 2000–2004, Kort was also the author of numerous books about her local and statewide community, including The Fox Heritage: A History of Wisconsin Fox Cities, The Art of Labor: Building the Fox Cities Performing Arts Center, and Wisconsin Quilts: Stories in the Stitches, which was named in 2002 an Outstanding Book of Wisconsin by the Wisconsin Library Association. Kort was also author of eight books of poetry, and her work is featured in a wide variety of anthologies. 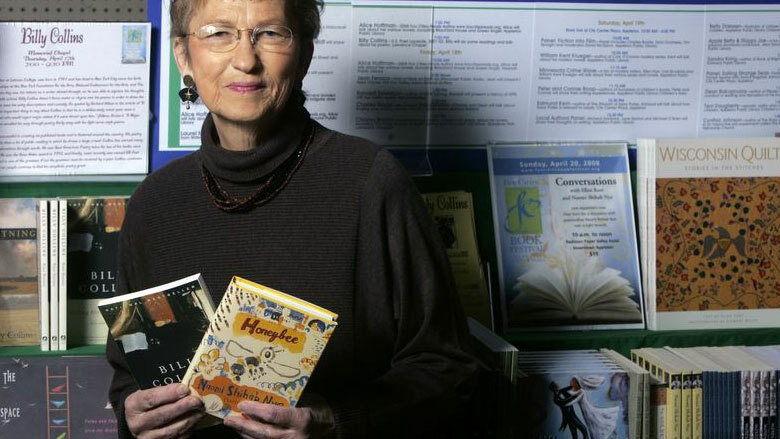 Over the years, her writing won several awards, including the Pablo Neruda Literary Prize for Poetry, the Mel Ellis/Dion Henderson Outdoor Writing Award, and the Wisconsin Sesquicentennial Poetry Award. Her poetry has also been performed by the New York City Dance Theater, was nominated for a Grammy Award, and is included in the Hospice Poetry Recording Project of Seattle. An ambassador for Wisconsin poetry, Kort frequently spoke on both Wisconsin and National Public Radio and traveled with her poetry throughout the U.S., New Zealand, Australia, the Bahamas, and Japan. Kort was elected a Wisconsin Academy Fellow in 2004. Kort was an active volunteer, working on the Appleton Compassion Project and many other community endeavors. For her service, she received the Thomas G. Scullen Leadership Award and the 2001 Dr. Hanns Kretzschmar “Excellence In The Arts” Award. Kort gave back to her community in a variety of ways, and, because she was passionate in her belief that poetry is for everyone, she traveled Wisconsin presenting poetry workshops for students and at-risk teens, parents grieving the death of a child, families touched by cancer and AIDS, domestic abuse survivors, and women in prison. Poet Cathryn Cofell, Wisconsin Poet Laureate Commission founder and the Wisconsin Academy VP of Letters, couldn’t agree more. “She had such a nurturing spirit … but an equally sharp wit and wicked sense of humor,” says Cofell. Maybe it’s true that we all scatter trails of words and music that are embedded in our footprints. That dream-tracks cover the land, are woven through waves like a map to find our way home. And maybe there’s nothing: no tiny grain of sand, no rock, leaf or the smallest trickle of water that can’t be sung. Maybe it’s the same music the swan makes before she dies, how she finds her true voice just that once. Wisconsin Academy staff and board thank Kort for her contributions to growth of poetry and the arts across the state, and for her pioneering work as the first Wisconsin Poet Laureate. She will be missed by many.